How you can set up your Own Business quickly and easily in an area you love. The full chapter on your Own Business will show you the benefits of owning your own business and how to plan and set it up. Starting a business in an area of your passions means income from what you love doing. A much higher income than employment. The ability to do something you love and are passionate about. A lifestyle that allows you to earn business income even when you are not working. The opportunity to choose when and where you work. The opportunity to structure your work around family. Building a business takes time, patience and at least a little money. It is never a cash-tap. You cannot start a business and expect a week later to turn on a tap and have cash flowing out faster than you can count it. In fact, in the first year you might put more cash in than you take out. One of the great things about starting a business is that you can start small and grow bigger. If you are employed (or studying) start your business now and manage it in your spare time. As it grows and becomes profitable you can reduce your employment or resign altogether. When I first started my recruitment business I worked two days a week at my old job (tax accountant). This enabled me to keep going even though the business didn’t make a profit for two years. One of the most exciting things about starting your own business is that you can let it grow out of your passions, interests and hobbies. Remember when you were at school, you enjoyed the subjects you were best at. It was more enjoyable to spend time on the subjects you liked and were good at. The same is true of work and business. You will enjoy going to work and building your business if you start a business in an area you already like. One of the most motivating aspects of owning your own business is that it is fun. Successful business owners nearly always have a good time doing business. 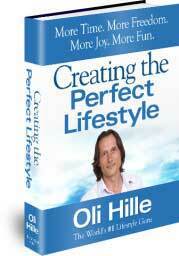 If you are not having fun in your job or your business it is time you had a lifestyle change. Life is too short to have a work week that is not enjoyable. How much you enjoy your work impacts the rest of your life. But if you own a business that follows your passions and interests, you are most of the way towards enjoying your work life. When you can choose not only in this area levitra coupons can say a present for you levitra coupon here that promise orderly customers.